Preity was supposed to play Geet in Imitaz Ali’s Jab We Met, the career-defining role that finally went to Kareena Kapoor. Nikkhil Advani’s Kal Ho Naa Ho, marked as one of the most iconic Bollywood films, completes 15 years on Wednesday. The Karan Johar production film with Shah Rukh Khan, Salman Khan and Preity Zinta as lead actors is loved by the audience even today. Preity as Naina, who both the male leads were in love with, had stolen the hearts of people and it remains one of the most popular roles the actor has ever played. However, not many would know the role was first assigned to Kareena Kapoor who did not finally do the film due to some disagreements. And ironically, Preity was supposed to play Geet in Imitaz Ali’s Jab We Met, the career-defining role that finally went to Kareena Kapoor. Producer Karan Johar, in his autobiography An Unsuitable Boy, said Kareeena Kapoor had asked for a pay equal to that of Shah Rukh Khan, which was why he signed Preity. Preity, on the other hand, had turned down Jab We Met but has no regrets. She said she had a “karmic connection” with Kareena Kapoor Khan. 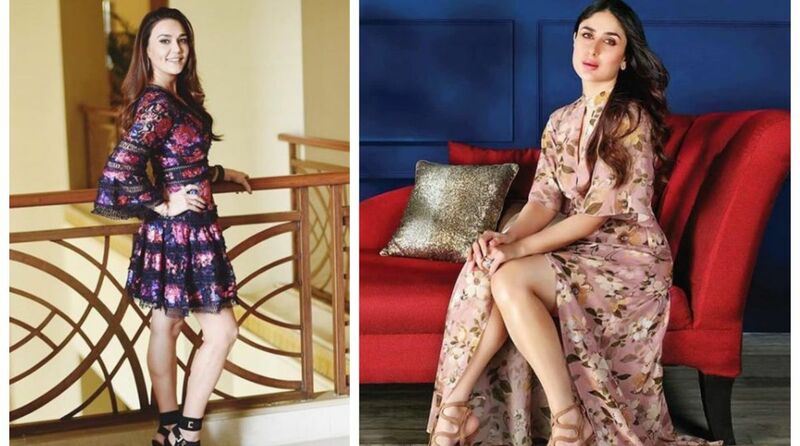 “There is a karmic connection between Kareena and me. We both are in very good karma with each other because she said no to Kal Ho Naa Ho’ and I said no to ‘Jab We Met’. Both of them are iconic and career defining films. People tell me they liked me a lot in ‘Kal Ho Naa Ho’ and I think she did a wonderful job as Geet,” said the actress to PTI. Karan Johar took to his Twitter handle to celebrate 15 years of Kal Ho Na Ho. Have a look at the series of his posts. For Preity, Kal Ho Na Ho was a roller-coster ride, as she recalled her bonding with Karan Johar’s father Yash Johar. She also shared that SRK underwent a major surgery during the shooting. On the professional front, Preity Zinta returned to silver screen after 4 years in Bhaiaji Superhit with Sunny Deol, which released on November 23.